Fissure sealants can protect your children’s back teeth, so that they may never need to have a filling! They are a protective plastic coating, which are applied to the chewing surfaces of teeth at risk of decay. The chewing surfaces of back teeth have small grooves or fissures which often extend right down into the tooth itself. However well the teeth are brushed, these fissures are very difficult to clean thoroughly. Bacteria and food particles stick to them and eventually cause decay. Fissure sealants completely seal off these grooves, preventing any food particles or bacteria from getting in. They do not affect the normal chewing function of teeth. First the fissure is checked for decay. Then the process simply involves cleaning the tooth surface, preparing it with a special solution, and then applying the coating. 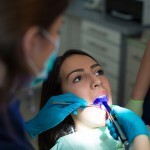 No injections or drilling are needed, and the entire process is pain free. 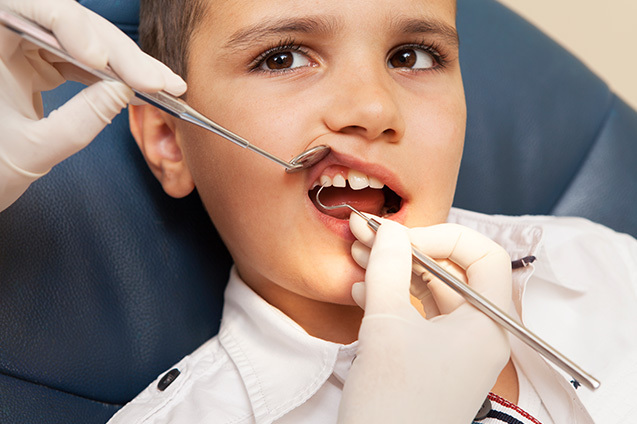 The first permanent back molars are usually sealed between 6 and 7 years of age. If required the rest of the molars are usually sealed as soon as they appear which can be any time between 11 and 14 years. Do the teeth need special care afterwards? No special care is needed, but the back teeth still need to be brushed regularly with a good toothbrush, preferably using fluoride toothpaste. It’s also important to keep going to your dentist for regular check-ups because other teeth might need attention.